Then there are the riders who rave that Pedego electric bikes transformed their commute experience in cities and hilly towns and those who love riding their Pedego because, well, they’re fun! 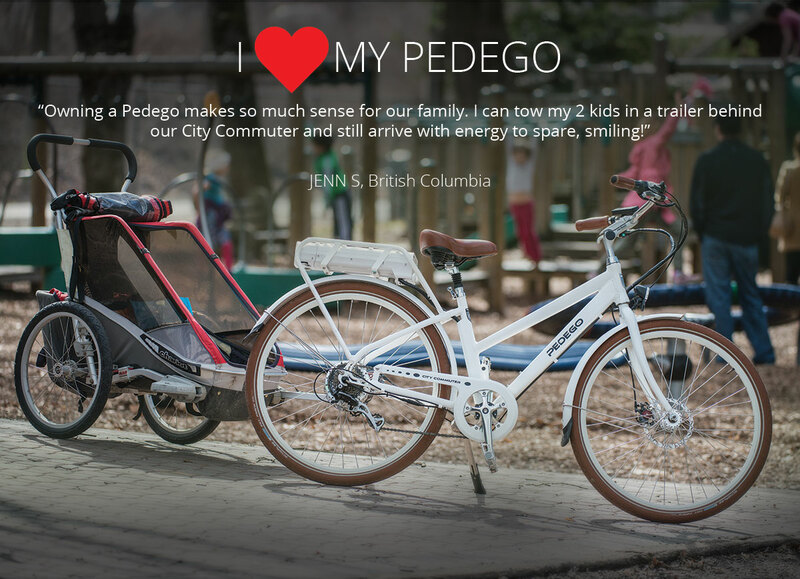 It’s also the reason we’ve collected a number of quotes and experiences from Pedego owners so we can share them with the world in our “I ❤ My Pedego” campaign. 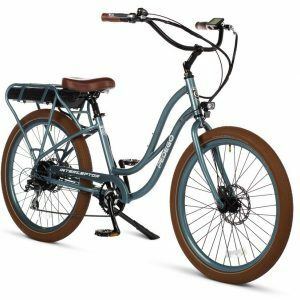 For example, there’s Marley in British Columbia who says her and her husband purchased a Pedego electric bike instead of a second vehicle and now they’re considering getting a second Pedego! There’s Sam who says the Pedego Stretch is the perfect family vehicle and Jenn who uses the Pedego City Commuter to tow her two children around her hilly town. There have been so many inspiring stories and testimonies and we’d like to collect more. 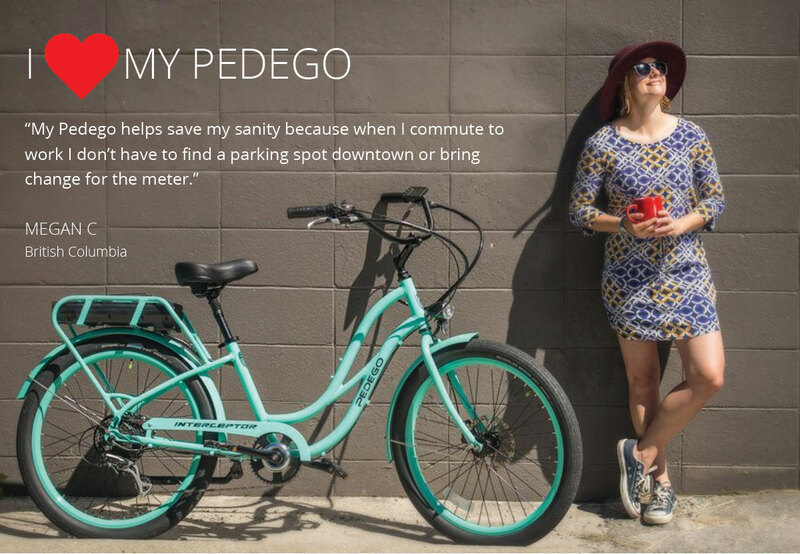 If you own a Pedego electric bike and have discovered it has transformed an aspect of your life, or it’s simply a fun way to travel, please fill out the form below and we’ll feature your quote in our nation-wide campaign. 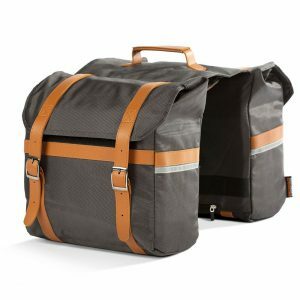 We’ll make sure to keep it anonymous by only listing your first name and initial but if you want to share with us a photo of you and your Pedego that would be even better! Just attach the photo in the appropriate field below. 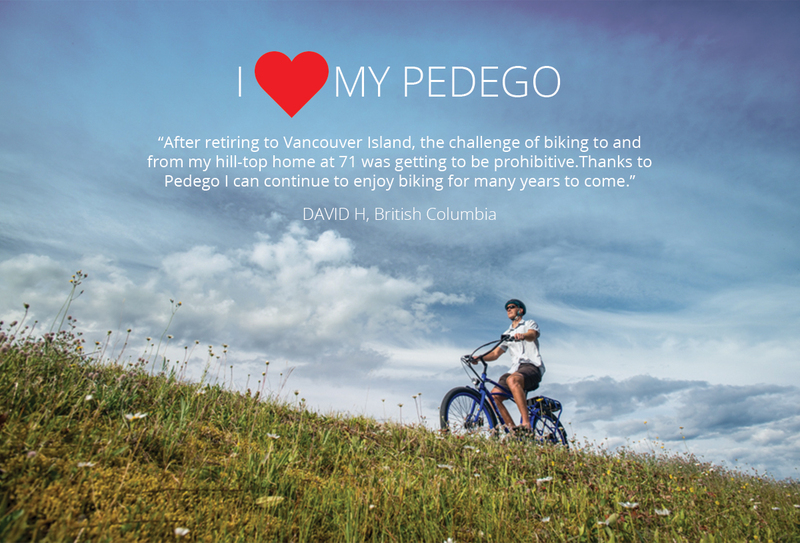 If you have any questions or would rather email us or talk to us in person, send us an email to info@pedegocanada.ca or call anytime at 1-888-777-2066.